Smart Apartment. Iconic Building. Matchless Location. 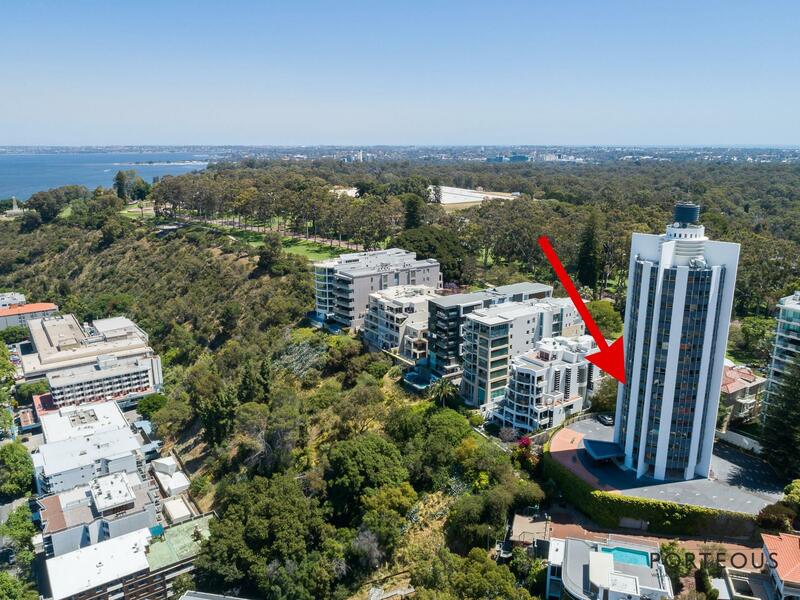 Superbly built and well ahead of its time, Mount Eliza Apartments is the iconic circular building that stands way above everything close to the entrance to Kings Park. Celebrated for creating a new benchmark in engineering, construction, design, secure access and unique double-helix internal stairways, this building is an architectural triumph. 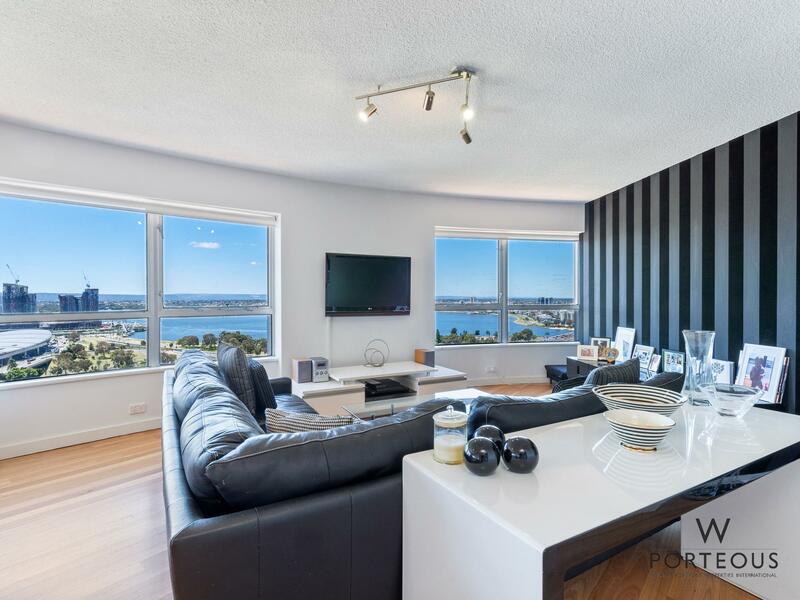 Apartment 11 faces east on level six and commands a breathtaking view of Perth City and vast areas of the Swan River. 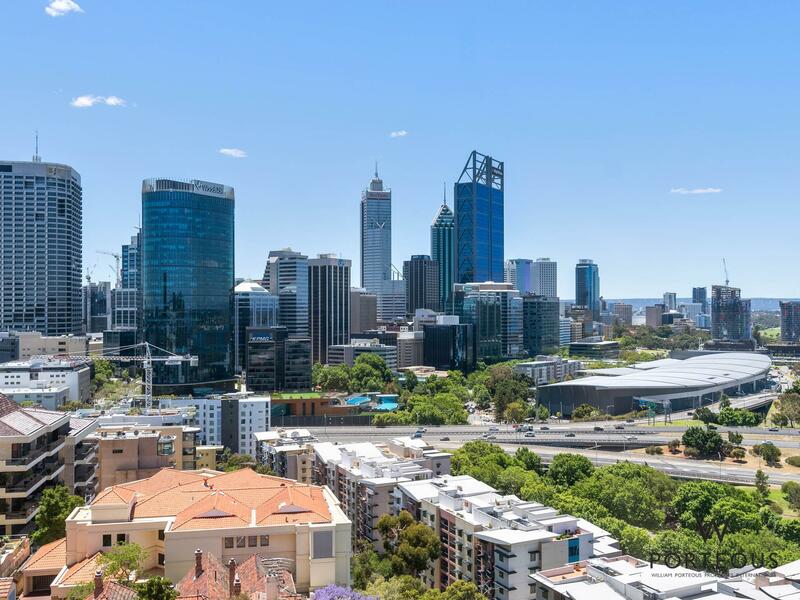 Located at the top of Mount Street, the city is within walking distance while all the beauty of Kings Park is only a few steps from your door. 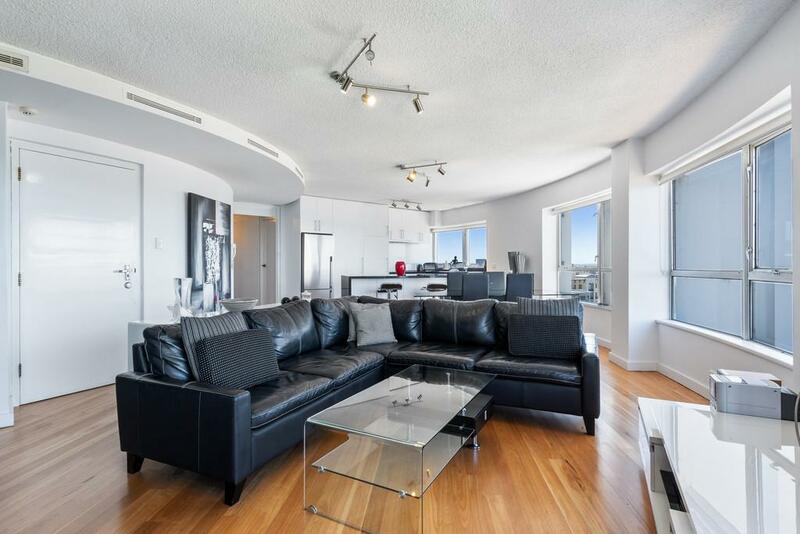 The renovated open plan living area is light and bright with elegant black and white dcor and a gorgeous uninterrupted view of the sunrise across the river every morning. 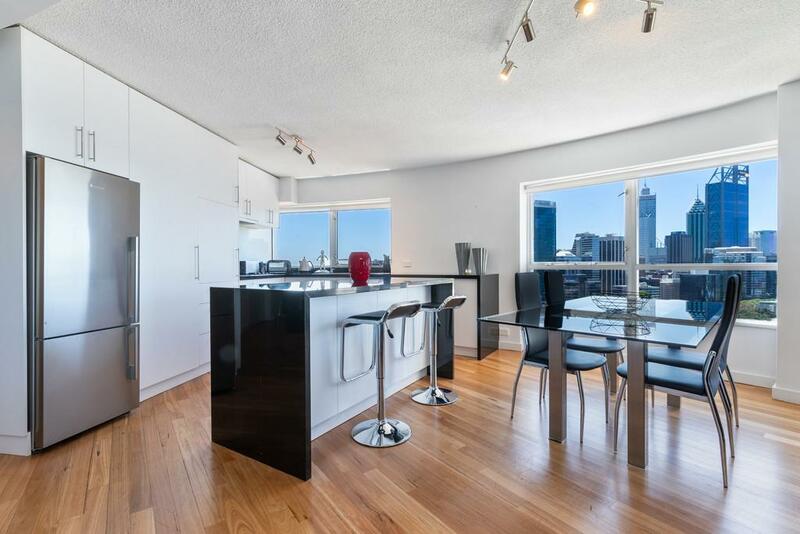 The ultra-modern white kitchen is well equipped and designed for efficiency while enjoying the view. 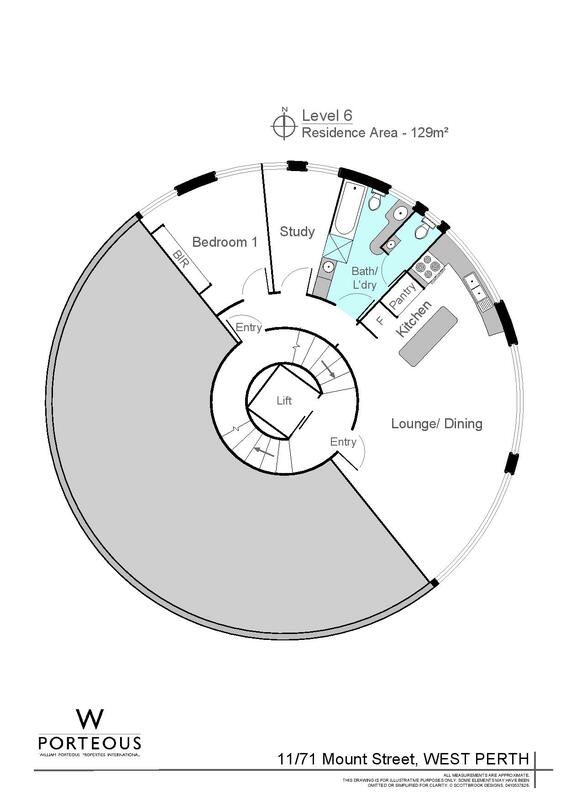 There are two bedrooms with abundant built-ins and a compact bathroom with laundry facilities. 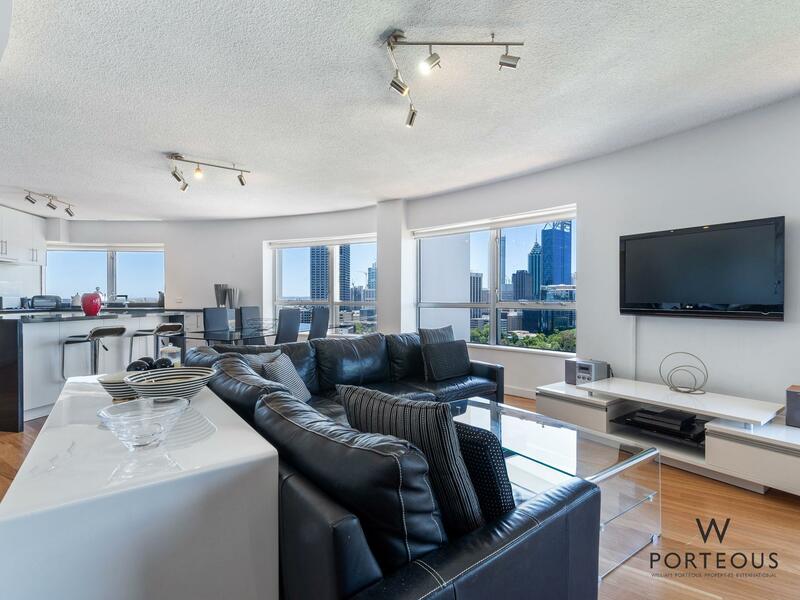 The apartment comes with two car bays and two basement storage areas. All this is just perfect for starting out, scaling down, lock and leave or a bachelor pad par excellence! There is a full-time caretaker onsite for residents. It would also be an ideal rental. 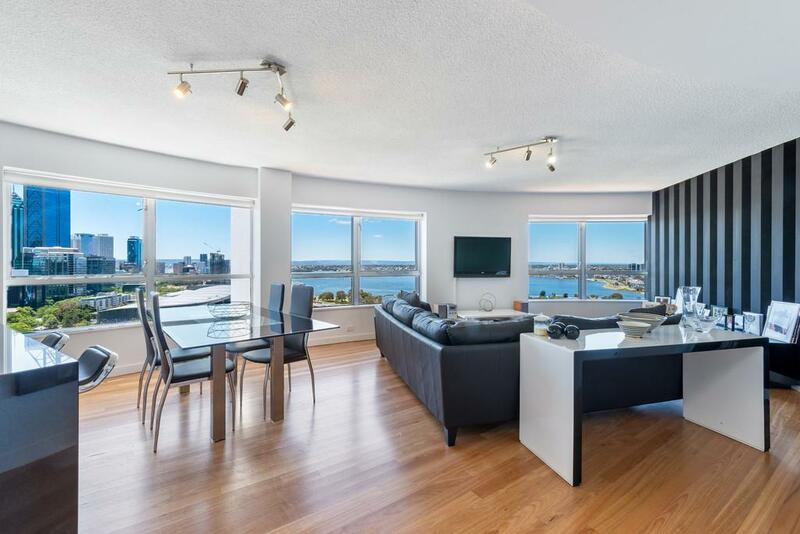 Who wouldn’t want to stay in a building that is recognised around the world in an apartment that looks down on the Ritz Carlton Hotel and Elizabeth Quay? 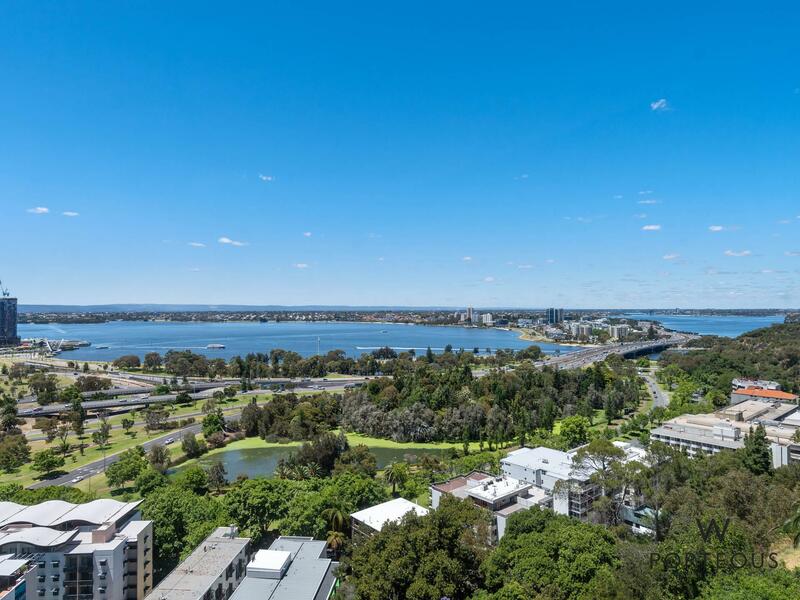 So many possibilities for this attractive, well priced apartment surrounded by multi-million dollar residential properties and perfectly situated between spectacular Perth City and magnificent Kings Park. Now that is worth a visit!